This is not your typical boy-meets-girl story. Okay, they do meet, but there are some complications. Trish is twenty-eight. She’s unemployed, overweight, single and snarky. She knows all that. And if one more person – just one more person – tries to fix her, she might explode. Sahil is thirty-five. He has superpowers. Well, kind of. He seems to think so, anyway. He’s also hot (okay, in a geeky kind of way, but still). And he plays the guitar, helps the underprivileged and talks about his feelings. Aren’t guys like that supposed to exist only in fantasies? When Trish and Sahil meet, magic happens. Real magic, you know, like fireworks, electricity, that sort of thing. But here’s the problem. Trish doesn’t want anyone in her life. She has enough to deal with – dependent parents, flaky neighbours, bitchy editors, the works. And yet, Sahil is determined to be in her life. 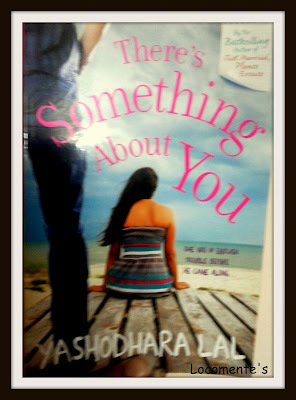 From the bestselling author of Just Married, Please Excuse and Sorting Out Sid, here is another zinger of a book. Yashodhara Lal's USP is in taking the ordinary and making it hilarious. She graduated from IIM-Bangalore in 2002 and has over 12 years of experience in the Marketing Domain across two large corporations in FMCG and media. She lives in Gurgaon with her husband Vijay, and the three small children they call Peanut, Pickle and Papad - all of whom never fail to provide her with material for her entertaining blog at http://www.yashodharalal.com. 'Just Married, Please Excuse' is her first book. 'Sorting Out Sid' is her latest work of fiction. Trishna aka Trish is an introvert. She shares a very weird relationship with her parents. She is laid out and takes everything for granted until she is fired. She has no friends and fears of losing her independence and identity in a relationship. She also nurtures a fear of losing people and tries to stay emotionally away from everyone. She is also fat and battles inferiority complex because of that. Her father suffers alzeimers and mother is mostly bitter. Her only friend, also a neighbor, Aakansha, is acting strange. Aakansha’s daughter Lisa is mostly withdrawn and not so child-like. Her colleague Niveditha is very pushy and her boss Zee is egoistic. Trish’s new friend, Sahil, is pleasant and friendly; fighting his own inner battles. In short, Trish thinks she is in a mess. I love Trishna. Her life and problems are so trivial. Her thoughts and fears are so relatable. She is matured and yet, at the same time, childish. She carries her life in her shoulders, in her way – just the way she carries this book! Author has presented a book free from clichés. Her narrative is lucid. However, most of the time, redundant too. She feels cold towards her mother and her heart melts for her father. It is described so many times, that you are frustrated. Sarcasm was ample in the book. But, I missed the humor that the author had in her other two books. In the beginning. Trish is always self-pities because she is fat. It really takes a toll on you to see that she blames her over-weight for every mishaps. However, it was a relief to see her transform into a positive person. The relationship between Trish and Sahil is very well-presented. It is surely not boy-meets-girl and happily-ever-after. It is about friendship, care and camaraderie. After enjoying brilliant cover pages of Just Married Please Excuse and Sorting Out Sid in particular, I was thoroughly disappointed with this one. It looks hasty and random. The book blurb gives away the romantic aspect of the book. Although, only a part of the book is about that. In short, I have to tell you that the book ends pleasantly, connecting all the dots – making this book a worth read! Is 268 worth it? Figure it out yourself. People's mind is mysterious.It travels through strange ways.Inspiring review.